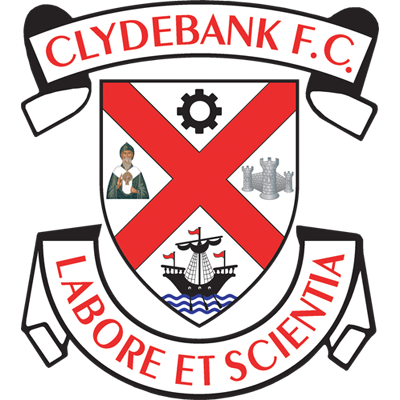 Clydebank made a remarkable and unlikely comeback to earn a draw against Cambuslang Rangers at Lochburn Park this afternoon after finding themselves three goals down with less than thirty minutes remaining. Jordan Morton’s screamer appeared to have put the Somervell men out of sight, and Stevie Higgins counter looked no more than a consolation. However, after Craig McLeish was ordered off for the an elbowing offence the Bankies put the Lang defence under intense pressure, and bullet headers from Darroch and Shelvey kept the Bankies unbeaten start to the season intact. Kieran McAnespie made five changes to the side which beat Rob Roy on Saturday with Dooley, Hepburn and Little all dropping to the bench, and no place at all for Jack McClair and Sean Higgins. I can understand the rationale for making changes especially with the number of attacking options available, however sometimes it can go too far. More on that later. 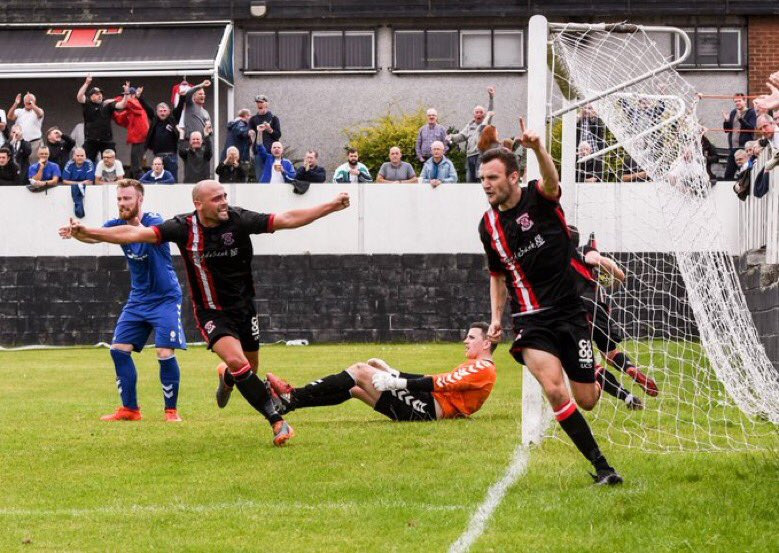 The Bankies almost got off to a dream start when Shelvey played in Higgins with only 20 seconds on the clock. Unfortunately, the striker’s diagonal shot went past the post with by a whisker. The Bankies got off to a brisk start, but Cambuslang were up for this. They pressurised at every turn and made life very uneasy for the Bankies. The also have the aerial threat of John Gemmell, a not insignificant size of a man, meaning Darroch and Vezza were going to have their work cut out. Indeed, Vezza and Gemmell were both booked after ten minutes after getting involved with each other. Cambuslang took the lead after 15 minutes predictably from a set piece. A corner from the left was sent goalward by a Cambuslang player at the near post, which was parried by Marc Waters in the Bankies goal. Jack Breslin was in the right place to rifle the ball into the net from close range. The Bankies were shell-shocked and almost went two down just minutes later as Morton beat Asghar to the ball and his left footed shot left Waters stranded. Luckily for the Bankies keeper the ball just went on the wrong side of the post. The match became heated at times and Cambuslang had succeeded in getting the game played on their terms, and the Bankies didn’t like it. You could tell even at this stage that if Clydebank were to get anything from this match they would have to match the energy of the visitors. The period before the interval was more even with both sides having chances. Jordan Shelvey glanced a header wide of the post and Alan Vezza was unlucky to see a header from a Chris Black cross crash off the bar and over. The Lang could just have easily have scored themselves. Asghar was having a torrid time dealing with McRobbie and the winger created a chance on the left by cutting the ball back to an incoming forward whose shot was inches past the post. Cambuslang kept up the tempo at the start of the second half and Morton came close with a curling shot from the edge of the box, but Clydebank were still making their own chances. McIndoe sent in a free kick that was headed across the six yard box by Shelvey. A defender beat Darroch to the ball, but only succeeded in playing it back into the path of Shelvey. Again, the shot was wayward as the forward’s angled drive sailed over the bar. Then, after 51 minutes, a short corner from the right was crossed by McClair. The Lang defence were caught on the hop, and it gave Shelvey a clear header on goal, but a desperate lunge from a defender managed to block the ball. At this stage, it looked like the next goal was going to determine the winner. And two minutes later it went to the visitors. Gemmell showed a nice touch to play in Hastings. Paterson got on the wrong side of his man and sent him tumbling to the ground in the box. Gemmell took the spot kick and confidently put it away. The Bankies were in trouble now and introduced Hepburn and Little to proceedings after 57 minutes, however things were about to get worse. Callum McRobbie danced around the Bankies defence including the goalkeeper. With nowhere to go he rolled the ball to the edge of the box where Morton crashed an unstoppable shot into Waters top right corner for an absolute screamer. Well, that looked like game, set and match, but Nicky Little and Del Hepburn had just started to influence the game. With 25 minutes to go Nicky Little threaded the ball into Chris Black who slipped the ball inside to Stevie Higgins. The Bankies front man is deadly in the box and he showed why by neatly side stepping his marker and slamming the ball into the net. The Bankies were making some inroads now but any kind of comeback still looked a long way off, however they were certainly helped in their cause when McLeish was given a straight red card after 77 minutes. As he jumped for the ball, he led with his elbow and smacked Alan Vezza on the side of the head. Maybe, on another day he might have got away with a booking but the ref wasted no time in flashing his red card. The Bankies were now pushing Cambuslang back and got their reward with only four minutes remaining. A corner was flighted in from the left and Jamie Darroch powered in a magnificent header that couldn’t be stopped despite there being several men on the line. It still looked like it was going to be a glorious failure, as time was fast running out. However, with less than a minute left on the clock McIndoe delivered a fantastic cross from the left wing. Jordan Shelvey rose majestically and bulleted his header high into the net to draw the sides level. 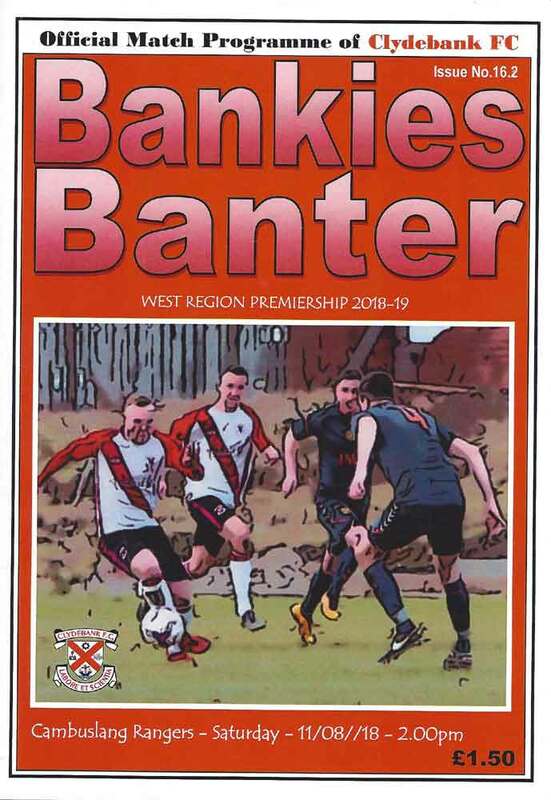 With more time on their side the Bankies may well have gone on to steal all three points, but a draw felt like a win as the ref blew his final whistle. The Bankies showed great character to get something out of this match. Undoubtedly in the past this game would have limped to an inevitable conclusion, however the spirit in the camp is plain to see. 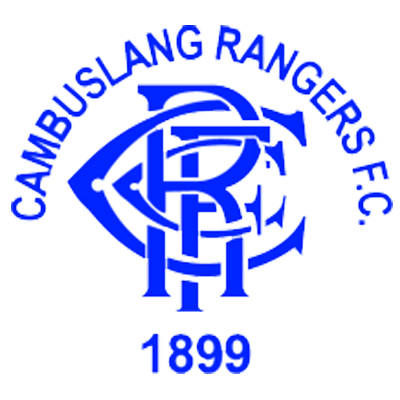 Cambuslang were the best team the Bankies have faced this season and will easily stay in this league if they play as they did today. The only grumble is really about the amount of changes to the starting line up. The team looked a little imbalanced on the left hand side today because of the changes. It’s hard to justify leaving out the likes of Little and Hepburn. Both certainly contributed when they came on. With the Sectional Cup match during the week coming up then that would be the ideal time to rotate the squad a little. Any team needs consistency, and Budgie McGhie was particularly guilty of making wholesale changes on a match by match basis during his time as manager. Like I said, I can understand the thinking behind it, but maybe five was just too many. Most teams have one or two players that make them tick. Take those players out and the difference can be quite dramatic. If guys like Little and Hepburn are good to go then they should play. When Clydebank won the Second division in 1975-76, there were four ever presents and six others who missed no more than two matches. I’ll just leave that little fact there.